The beauty of Mexico is that every destination offers something unique. To dance until the sun comes up from the all inclusive comfort of a resort, you’d head to Cancun or Cabo San Lucas. To escape the beach and dive into old-world wonder, you can choose your own adventure in Zacatecas or Chiapas. If it’s laid back Bohemian vibes you want, catch some waves in the surfside towns of Puerto Escondido or Todos Santos. But where do you go if you want that perfect blend of exploration, authenticity, culture, and action without the crowds of tourists and repetitive all-inclusive resorts? On the Northern end of the Yucatan peninsula, 45 minutes north of Merida and 4.5 hours west of Cancun is a small beachfront community with miles of sandy beach, friendly locals, access to some of nature’s greatest wonders, and a taste of everything you could want in Mexico. When I stepped off of the plane in Merida, I had no idea what to expect. I hadn’t done any research or planning beyond a place to stay, meeting a local contact, and linking up with a couple friends from my team at MACkite for the trip. I love what random and unforgettable adventures come up when you don’t have a plan! That said, it certainly helps having an idea of what to expect before your trip, so you can make a game-time decision based on the wind or the weather or your current level of hungover! Travel to Progreso: Via MID or CUN. There are two great airport options for access to Progreso. 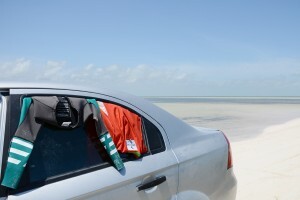 The closest airport is Merida (MID), about 45 minutes by car or taxi from the breezy beaches of Progreso. Cancun (CUN) is typically the best option for cheaper flights and better routes, but you’re about 4-5 hours from Progreso and that trip is best done by bus or rental car. The benefit of flying into Cancun is you can take a few days on either side of your trip to party hard in the Las Vegas of Mexico if that’s your jam! The best place to check flight availability is Google Flights. Be sure to type ‘MID, CUN’ into destination so you can compare both at once. 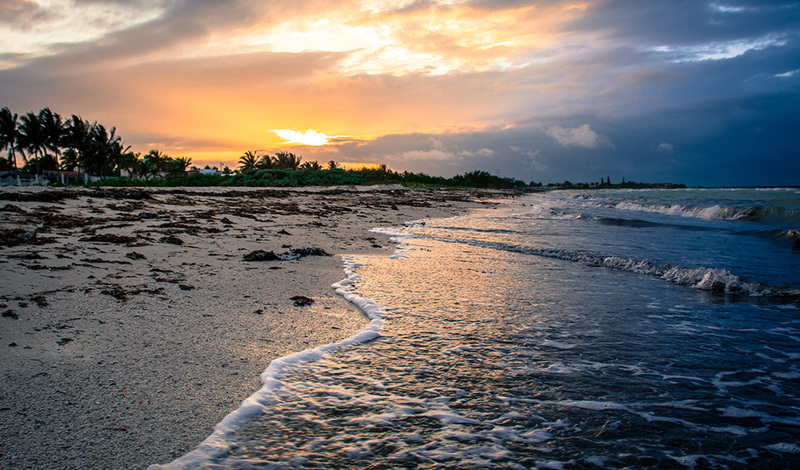 I highly recommend having a rental car for this trip – Progreso is a quiet town and the ability to explore the incredible nature around the Yucatan peninsula will make all the different to your trip – especially if you don’t like relying on organized tours. Kayak is my go-to for booking rental cars, but read the terms and conditions carefully. Rates that seem too good to be true often are. Most rental car companies showing crazy sale rates require you to purchase their insurance or charge additional airport and taxes on pickup. 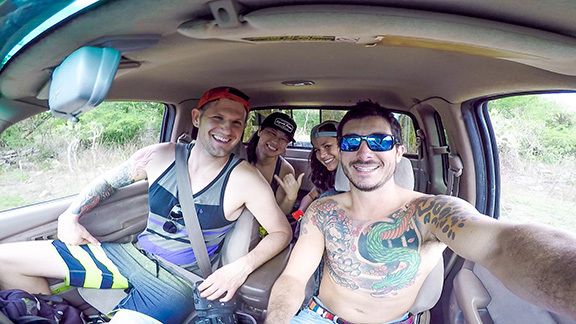 Get your crew and get ready for an adventure! From Merida to Progreso, a taxi or Uber is the most convenient and affordable, especially when traveling with 2 or more. If you’re new to Uber, register with code ‘crystalv94′ to get a discount on your first ride. I will often check the ride cost from the airport to my destination before deciding on a taxi or public transit option. For solo travelers on a budget, try the public bus. It’s easiest to taxi to ADO bus terminal and then catch the bus to Progreso. Rome2Rio is a great tool to plan your travel from the airport to Progreso from either Cancun or Merida. Where to stay in Progreso, Mexico. If you’re planning a trip to Progreso, chances are high that your priority is to be by the water. If that wasn’t the case, you’d likely stay in Merida where you have dozens of hostels and hotels at very low costs. But beachfront luxury doesn’t have to be expensive – and that’s what makes Progreso the perfect destination for barefoot luxury on a budget. Booking.com is a great place to see what’s available for hotels, but AirBNB is where the winners are at. Beachfront villas, studios, and homes at prices that will literally blow you away. You and your entire crew can literally live in luxury here for the same price as a single room in sketchy airport motel in most US cities! 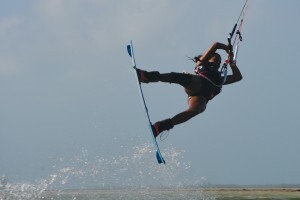 Casa Rosa – in Chelem and close to the kite school if kiteboarding or lessons are on your itinerary. Casa Villamar – at the edge of the Malecon tourist and restaurant area. Hotel Playa Linda – in the heart of the Malecon. Let’s make some memories… things to do in Progreso and the Yucatan. 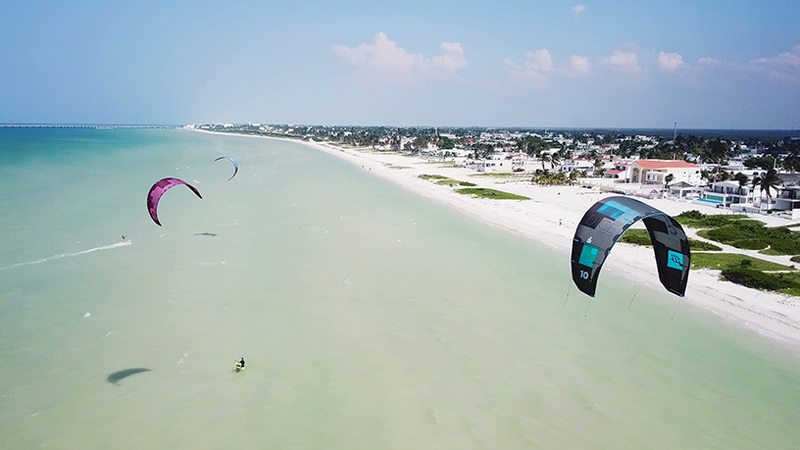 Kiteboarding – Playa Progreso is a hidden gem in the kiteboarding world, but it’s also one of the best places in Mexico to take kiteboarding lessons. The team at Yuckite is my recommendation for aspiring kiteboarders who want to learn from experienced IKO instructors that have a true passion for the sport. 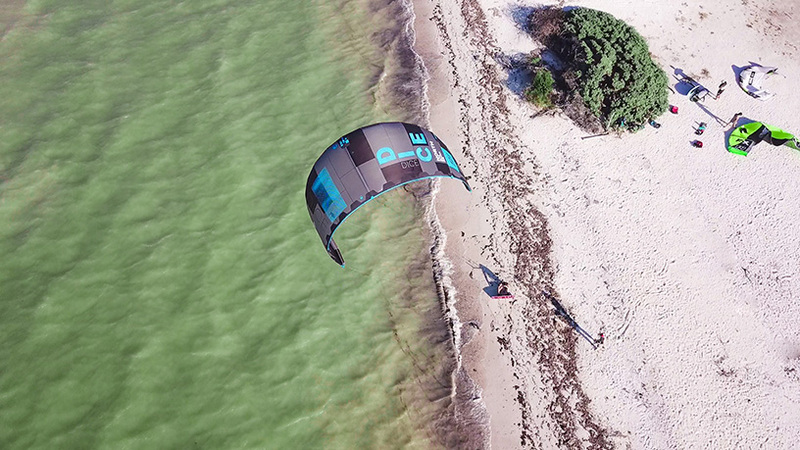 If you’re already a kiteboarder, you’ll be in heaven at this quiet kite spot! Check out this video for a look at kiteboarding in Progreso as well as the kite spot guide at MACkite. 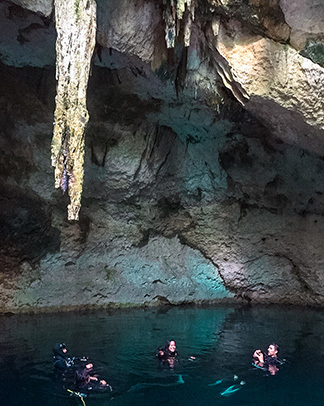 Scuba Diving/Snorkeling the Cenotes – The Yucatan is famous for its cenotes, which are naturally formed sinkholes scattered throughout the region. Many of these cenotes are filled with water and scuba diving or snorkeling here makes for an otherworldly experience. 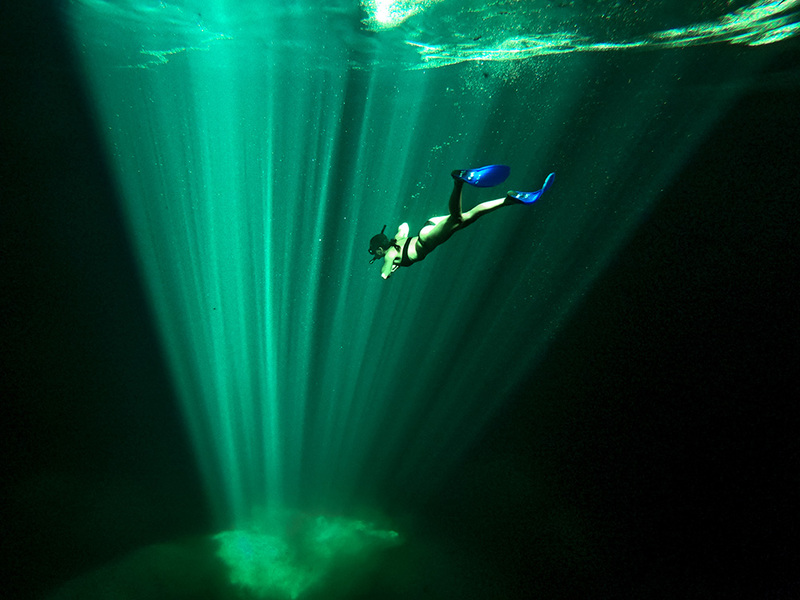 If you want to explore the cenotes, give Eduardo from Adventure Tours Yucatan a call! They offer dive and snorkel tours, and dive training. We visited the Calcuch cenote which was an incredible place for a cool dip on a hot day. SUP/Kayak Tours – On a day when the wind isn’t blowing, stand up paddleboarding in the warm, teal waters of the Gulf of Mexico is an incredible experience. You can rent SUPs right on the beach at Yuckite and go for a paddle. 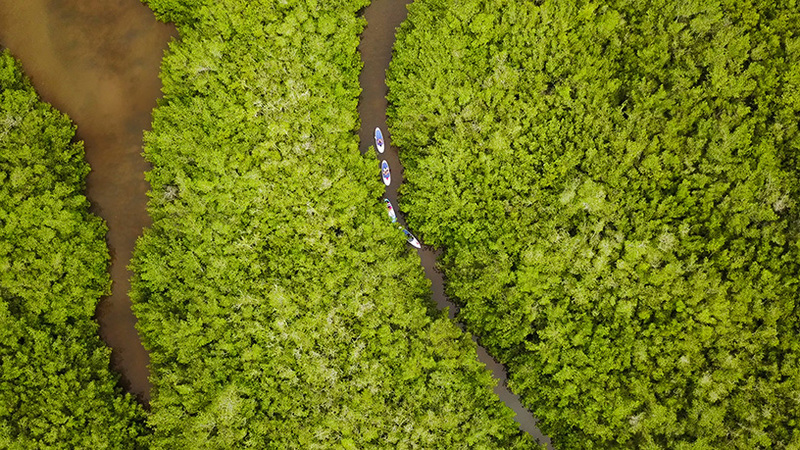 If you want to do some bird watching and experience nature, slap on some mosquito repellant and head into the mangroves by SUP or kayak (with Maya Amazing) and get ready to spot egrets, herons, and even flamingos! If you can, aim for a sunset paddle – sunset on the water is an unforgettable experience! Mayan Ruins – Mayan history is rich here in the Yucatan, with ruins and ancient structures peppering the peninsula. 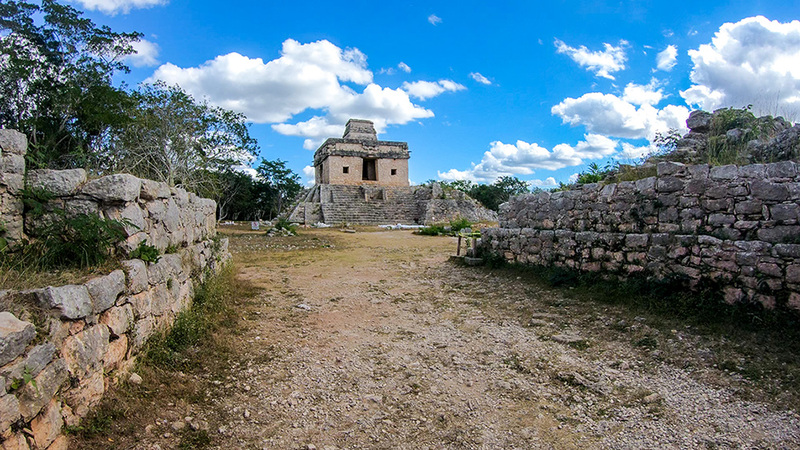 The nearest one to Progreso and Merida is Dzibilchaltun, which has some beautiful ruins and remnants of an old village as well as a cenote amongst the ruins which you can drop into for a refreshing swim. Arguably the most famous ruins in Mexico are Chichen Itza, which are a UNESCO World Heritage Site that you can reach on a day trip from Progreso. If you’re heading out into the jungle in your own rental car, make sure to stop in the local villages to taste some authentic Mexican fare. You can turn up at any of these sites on your own and do your own tour or hire a local guide onsite. If you’d like a more inclusive experience, contact Maya Amazing for a guided tour. There’s plenty more to do and see in Progreso, including sailing, sport fishing, horseback riding, relaxing on the beach, and shopping and dinng along the Malecon. I highly recommend a visit to Merida to walk around the old town, snack on some incredible street food, and experience every day life in Mexico. ¡Let’s explore some Mexican flavor! 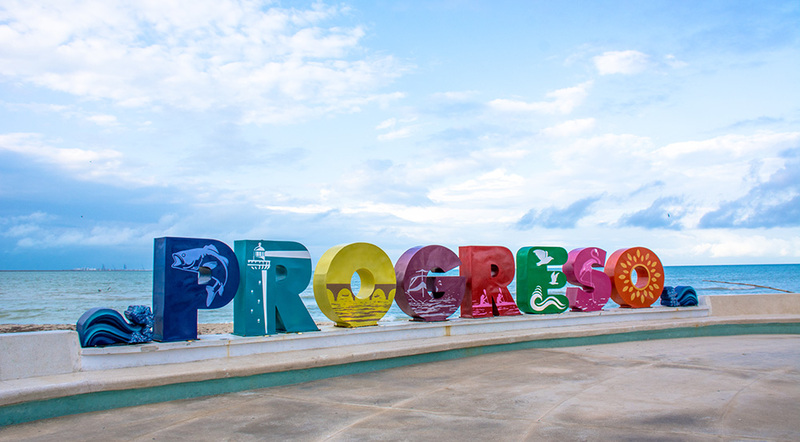 Progreso features many restaurant choices near the Malecon – the pier and waterfront area. This is where the cruise ships park up when they come through – and you’ll know when they’re there because they’re massive and impossible to miss. The Malecon will be crowded when the ships come in, but otherwise it’s a sleepy waterfront street with plenty of food options. It’s hard to go wrong here… just walk down the street and follow your nose! At the Malecon, you can expect fresh seafood and cold beer at any restaurant you walk into. My favourite was Crabster – a beautiful seafood restaurant with a view, and a great place to go for a classy meal that is very reasonably priced compared to similar food quality in the US. For something more casual, try Los Flamingos or Eladio’s Bar. For something special if you’re on a jungle adventure, Hacienda Tepich is an old colonial home with sprawling grounds near Merida. You’ll feel like you’ve walked into something special at this spot that features incredibly authentic, locally grown and prepared food. There is no limit to the fresh, local food available here in the Yucatan. Personally, I’m a big fan of street tacos. 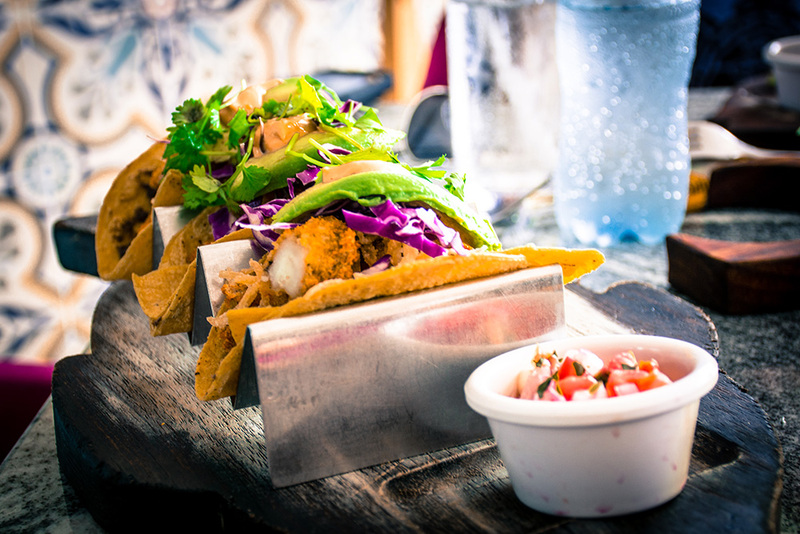 If you’re cruising down the street and see a busy taco stand, that one’s probably a great bet! If you have access to a kitchen, check out the local markets- you’ll find mountains of fruit and vegetables and fresh caught fish that you can prepare at home. Progreso is the perfect place to go slow, dive into adventure, and find time to take a deep breath and enjoy the environment around you. You’ll leave Progreso feeling completely refreshed and invigorated – maybe from an infusion of salty gulf water or the lasting impact of your first dive into a cool freshwater cenote. Whatever it is, it’s a feeling to hold onto. If you have any questions about your trip to Progreso or have already been and want to share any favourite spots, get in touch on Facebook or Instagram! I’d love to hear from you.